I have a busy life. It's one of those busy lives where people look at me and ask "What do you do all day?" because it doesn't seem like since I work at home I'd be busy, but I am. When it comes to food, I like things I can cook quickly and that are tasty. 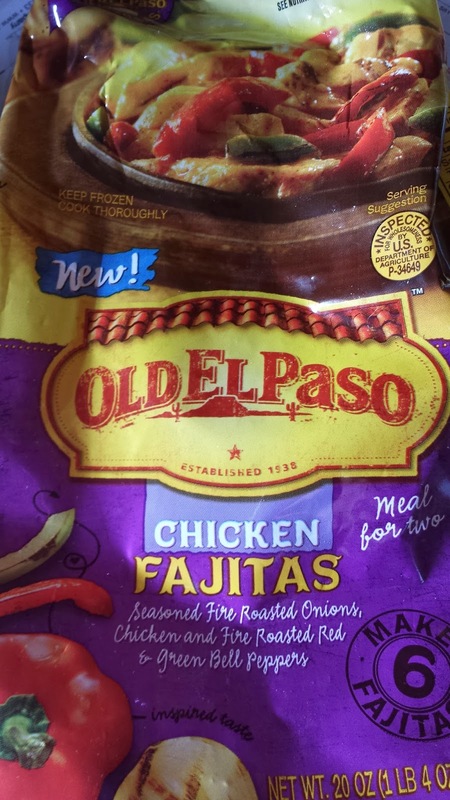 I recently received the opportunity to review Old El Paso Frozen Dinners from My Blog Spark. "Frozen" is currently one of my favorite words when it comes to dinner. That often means it's quick to fix! I received a coupon for any Old El Paso frozen dinner, a chip and dip bowl serving platter, and a $10 pre-paid Visa so I could buy anything else I needed for my Mexican meal. I picked up the chicken fajita meal. It has enough for three fajitas for two people. 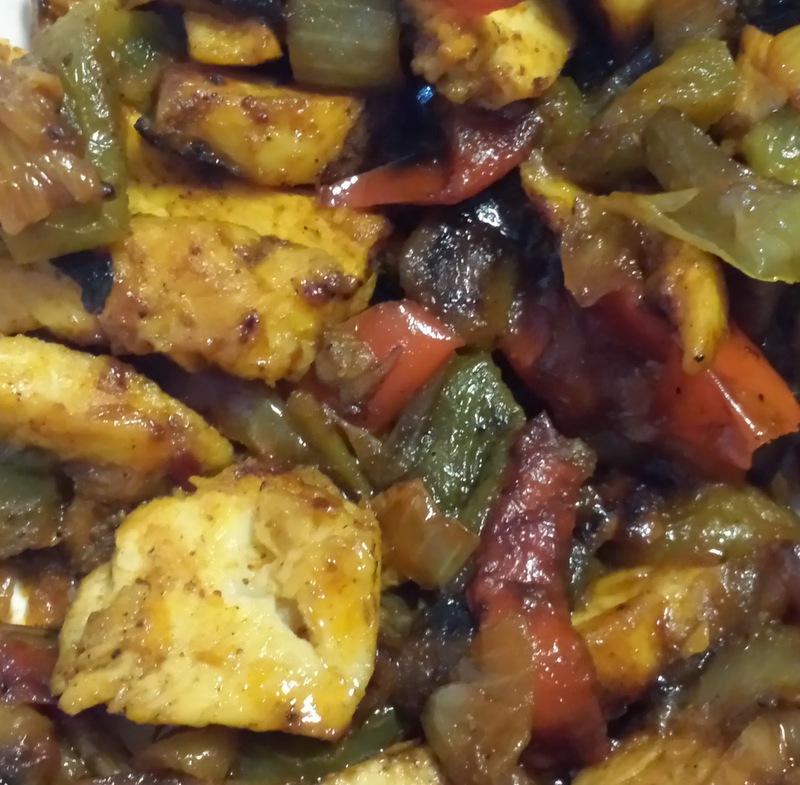 I liked the though of the peppers, onions, and chicken already being in there and taking 10-13 minutes to cook! It was quick, easy and delicious. I will certainly be buying this again. I love fajitas but don't always have the time to chop everything to fix them for dinner that evening, so this will solve that problem. I believe my store sells these for about $6 so and that is so much cheaper than eating out! They were tasty, just enough spice for me but not too spicy for those who like mild Mexican food, and they certainly hit the spot! FTC disclaimer: I received a coupon for a free Old El Paso Frozen Dinner, chip and dip tray, and $10 pre-paid Visa to allow me to make a Mexican meal for review. All opinions are my own and I only endorse products I personally have enjoyed and I think my readers should know about them. Gee, I've been on this diet so long, they ALL loko great! (rumble, rumble) That said, the Shredded Beef Enchiladas look especially good! Old El Paso Refried Beans are a staple in our house. We tried the Chicken Enchiladas and they were really good! I was very happy that there was no meat added into the sauce or beef/pork fat added. Most frozen enchiladas have meat sauce. i will buy them again for m family- they were delish! I like the chicken enchiladas and their taco sauce and taco seasoning mixes. We love their black beans. My favorite Old El Paso product is the Hot Taco Sauce. I love their enchilada sauce! I'd love to try the Shredded Enchiladas! I like the crunchy taco shells. Those Fajitas look great! I would also like to try the Chicken Quesadillas offered in their frozen food line. the chicken enchiladas look good! I like their chicken burritos. Their taco seasoning mix is the BEST! I'd like to try their frozen Chicken Quesedillas too. i'd like to try the Chicken Enchiladas! I want to try their chicken quesadillas. id like to try the steak quesadillas. I love their Chicken Enchiladas! I really want to try the enchiladas! I would like to try the Chicken Enchiladas. I want to try the shredded beef burritos frozen entrée. We love the dinner kit that has both hard and soft shells. I'd like to try the frozen chicken burritos. I would love to try their chicken enchiladas. I use their Seasoning Mix-Cheesy Taco. I like the soft shells taco kit. The chicken quesadillas sound good to me! 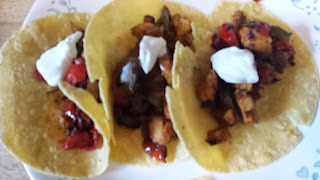 I want to try the Gordita Dinner Kit, Have tried just about everything else. I would like to try the chicken quesadillas. I love their taco kits! I want to try out the Chicken Quesadillas. the stand and stuff soft tacos kit. I like the vegetarian refried beans. I want to try the Frozen Steak Fajitas. I would love to try their Steak Fajitas! I love their enchilada sauce and use it all the time!